Katsina State is a geographical and political expression of an area that comprises two ancient kingdoms of Katsina and Daura. These kingdoms were among the oldest Hausa States. Others are Kano, Gobir, Zazzau, Rano, and Biram (Garun Gabas) which formed the origin of Hausaland, the habitat of the negroid stock of Berber-Amharic-Afro-asiatic group of people called Hausawa. The area is located in the Sahel Savannah region of northern Nigeria between latitudes 11007’49N – 13022’57 North and longtitude 6052’03E9002’40 East. Its principal neighbours are Zamfara and Sokoto States to the west, Jigawa and Kano to the east, Maradi and Damagaram in Niger Republic to the east and north east and Kaduna State to the South. Historical accounts indicate that the two kingdoms of Katsina and Daura had at a certain period comprised a wide area and great stretches of land from north to south, with spheres of influence transcending the current state borders. The territories of Korgom, Kance, Tasawa, Maradi, Kanembakashe, Jiratawa, Sumarana and Madarunfa in Niger Republic had formerly been the northern parts of these kingdoms. The spheres of influence of Katsina in particular had once comprised the areas of Birnin Gwari, Karaushi, Kirrisen, Madauci, Kuyambana and the marshlands of Sangiyakun in present Kaduna, Kebbi and Niger States. Its territories in the west comprised ‘Yandoto, Tsafe, Kwatarkwashi, Wasagu, Gusau, Tumfafi and Mada in present Zamfara State. These kingdoms had passed through many distinct stages of political and social transformation. Foremost was the emergence of the pioneer settlements of hamlets, villages and towns based on inter-displinary relationships, inter-communal cooperation and defense. This was the period of evolution of the Kingship (Sarauta) System from Maiunguwa (wardhead), the Maigari (village head), the Sarki (Emir) Chief and related institutions. This was the period of the Maguzawa and the Habe dynasties. There was also the period of the evolution and development of various occupational guilds in some specific places across the kingdoms. This gave birth to trade and commerce in goods and services within and outside the areas, a system which produced some important trade routes and the famous trans-Saharan trade. During this period, Katsina and Daura attained their highest esteem. There was the period Katsina and Daura witnessed the introduction and spread of Islamic religion and learning. The enthusiasm of Katsina inhabitants towards Islam and its preachers, as well as the favourable international relations with neighbours, facilitated the influx of migrants from near and far away empires such as Borno and Songhai into these kingdoms. The Jihad of 1804’s and its aftermath added another dimension to social and political transformation of the area. During the colonial period, Katsina and Daura kingdoms were at first administered as part of Kano and later Zaria Provinces. However, from the late 1960’s to the late 1980’s, this area was part of the north central and later Kaduna State of the Nigerian Federation. Katsina State was created out of the former Kaduna State on Wednesday, September 23, 1987, by the Federal Military Administration of General Badamasi Babangida. That event added another dimension in the annals of social and political transformation of the area. The State has a population of 5.79 million people according to the 2006 provisional census figures. The main occupations of the people are farming, traditional handicrafts and animal husbandry. Maize, millet, guinea corn, cassava, irish potato, yams and beans are the major food crops, while cotton, tobacco, sugarcane, soya beans and groundnuts are the major cash crops. The State is also one of the major producers of tomatoes, pepper and onion in the Country. A part from crop farming, the State is one of the major producers of livestock such as cows, sheep, goats and camels. Hausa and Fulfude are the languages of the people. Islam is the predominant religion, even though there are still few known families living in homesteads that practice Christianity and traditional religion. Traditionally, the people of Katsina State have quite a number of unique norms, values and customs inherited and passed from generation to generation. Among the foremost traditions found in the State are the famous Sallah Festival celebrated twice annually in Katsina and Daura. A great number of people travel to watch this festival from all walks of life and from all over Nigeria and abroad. The ‘Gani’ festival celebrated in Daura annually is an equally popular event. Traditional sports include boxing (Dambe) Wrestling (Kokowa) and Sharo or Shadi, a popular sport among the Fulani. 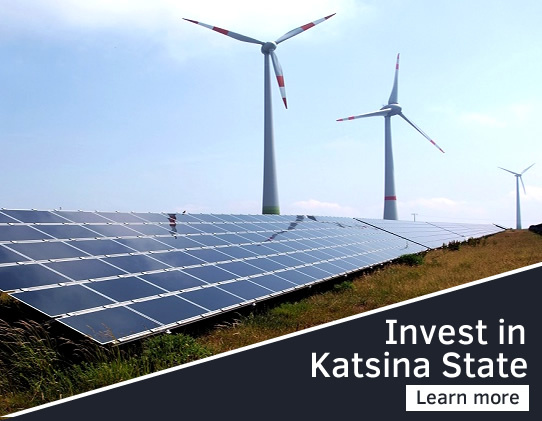 Since its creation Katsina State has witnessed changes in socio-economic, cultural and political spheres. New Local Government Areas and District Councils have been created. Institutions of higher learning were established, in addition to the numerous Secondary Schools. Agencies for the improvement and development of agriculture and centres for information dissemination were established. Other infrastructure such as markets, roads, dams, hospitals e.t.c. were constructed and upgraded. The historical development outlined above has imbued the people of Katsina State with a rich cultural heritage the like of which no other people can boast of in the whole of Hausaland. Perhaps, the foremost legacy is the prestigious position of the State as the birthplace for the famous ‘Sarauta’ system. It was here that the system was evolved, nourished, developed and exported to other parts of Hausaland. It is the first port of call of famous Arab scholar, Muhammaed Al-maghili before proceeding to settle in Kano. It is the gateway through which Islam was spread to other parts of Hausaland with arrival and activities of the Wangarawa Dyula scholars and merchants in the 14th century. It is the birthplace of the famous Islamic scholars Wali Danmarina and Wali Danmasani who are today considered patron saints of Katsina State. Through their teachings and writings the two had great influence in the spread of Islam and Islamic knowledge not only in Katsina, but the rest of Hausaland. Katsina State is the home of the legendry Kusugu well and Gobarau Minaret. It is the birthplace of dynamic leaders, brave warriors, intelligent musicians and singers, the likes of Emir Muhammadu Dikko, the legendry Danwaire and Alhaji Muhamadu Shata Katsina. It is the home of some of the Nations Finest soldiers, financial wizards and political heavyweights. 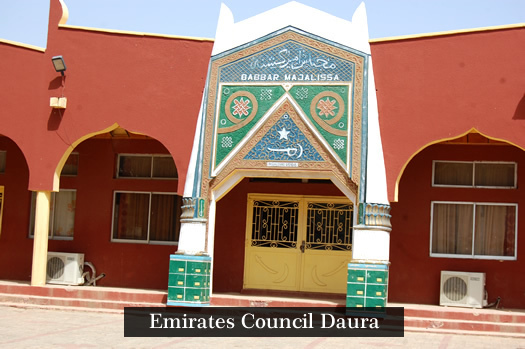 It once served as the best centre of Islamic learning in Madrasa at ‘Yandoto, Kurmin Dan Ranko, Kahutu, Tsohuwar Kasuwa, Gambarawa, Kusada and Karkarku. The first college in northern region was established in Katsina in 1923. Other legacies include norms and values, which constitute unique aspects of the peoples widely known disposition of courtesy and politeness referred to as hospitality or ‘KARA’. Kara has been associated with Katsina and its inhabitants since antiquity. The disposition entitles Katsina to its current epithet as the ‘Home of Heritage and Hospitality’. Copyright 2016 Katsina State Government.